Renault has named Christophe Dridi as the general manager of Automobile Dacia and Groupe Renault Romania. The position was previously occupied by Jerome Olive, as interim director. For the past two years, Christophe Dridi has been the executive director of the Dacia Vehicle Plant and a member of the company’s management committee. The Dacia Vehicle Plant in Mioveni will be headed by Miguel Oliver, currently Director of Quality at Renault Palencia (Spain). He will be responsible for the production of Dacia models in the Global Access range. Christophe Dridi graduated from Ecole Superieures des Sciences and Technologies de l’Ingenieur in Nancy, France, and holds an MBA INSEAD degree. He began his career at Renault in 1993 as an engineer. 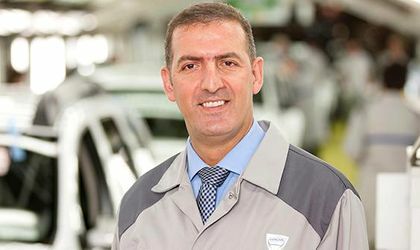 Since 2009, he has assumed the responsibility of the manufacturing director of the Casablanca plant, and then switches to the same position at the Tanger plant, both in Morocco.